The Foundation doesn't accept requests for funding directly from charities, but from Masonic Lodges who have selected a charity which they wish to support through their charitable efforts. In recognition of this milestone, the Foundation would like all Freemasons in Alberta to consider, April as Masonic Foundation Month from 2016 onward and donate generously. 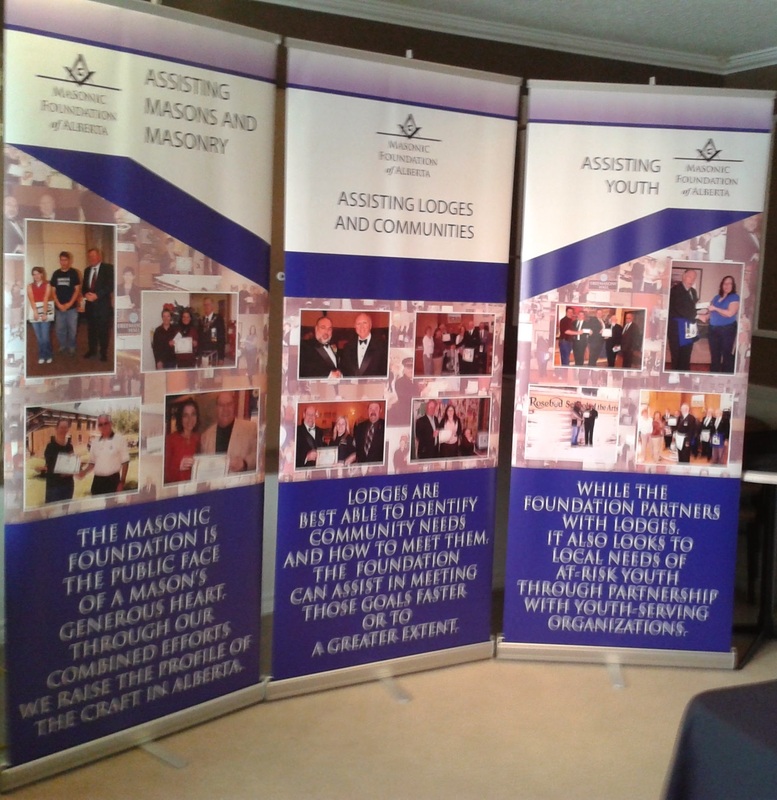 To the end of 2016 the Foundation has been able to contribute a total of $1,095,000 to 113 charities in conjunction with the Masonic Lodges of Alberta - see Our Charities Page for a list of the Charities we have been able to assist. This assistance is only possible through the generous donations from Alberta's Masonic Lodges and individual Freemasons. Instructions on how to make donations to the Foundation, as well as the process and forms required to request assistance from the Foundation, for Lodge projects, can be found on the "Donations" and "Request Assistance" pages. This Panel Illustrates the Mission and Focus of the Foundation. The quality of photographs will be improved as the Website Development continues. Please refer to the Photo Album Page for Foundation presentations and events - which will be updated periodically. You may also contact us by e-mail via our contact page.